Mascara is a must in my makeup routine. Whether it is a transparent mascara, white mascara or traditional black mascara, I am always wearing one of them. After using the Essence All Eyes on Me Mascara forever, I decided to give another one a go. I'm trying to find my favourite mascara from this brand so I'll be trying out quite a few in the near future. 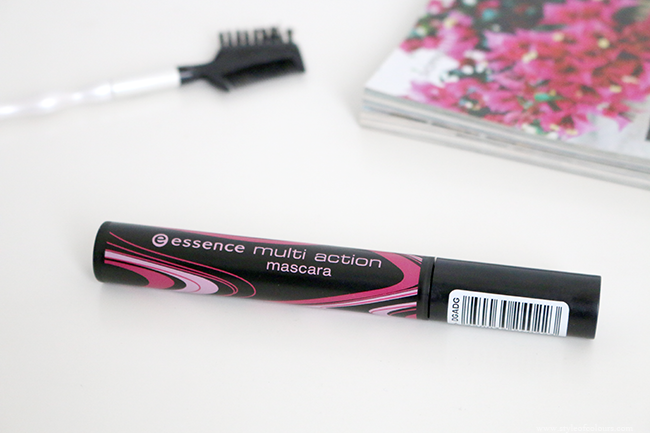 At the moment, I'm using the Essence Multi Action Mascara. 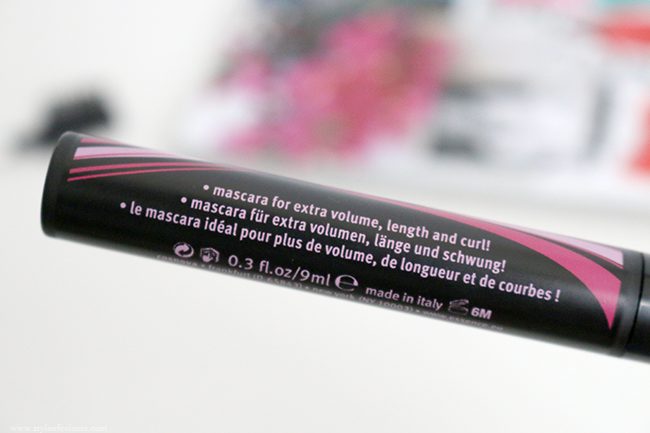 The multi action mascara is supposed to increase the volume, length and curl of your lashes. 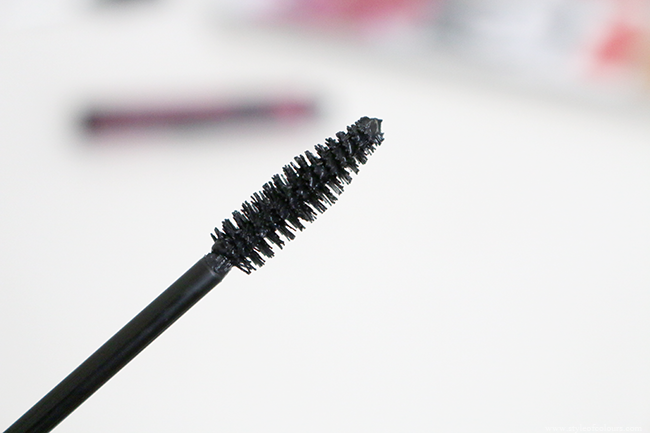 The mascara wand is the most traditional version there is. 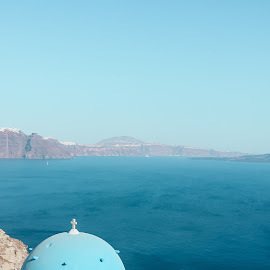 It is easy to apply and doesn't rub off during the day. The mascara isn't waterproof but I haven't had any problems with it melting in the heat or what not. What I like about it is that when taken out from the tube, it contains just the right amount of mascara needed for one coat of both lashes. 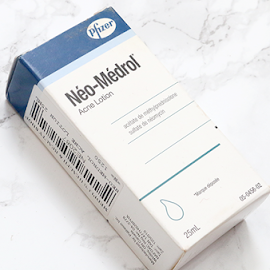 I really can't stand ones where too much product comes out and you're left trying to brush off half of it back into the tube. The mascara does add a good amount of volume, but just a bit of length. I can't comment on the curl as my lashes are naturally curly so I can't tell if it adds to my curl or not. What I don't get about this mascara is it begins to clump a bit from the second layer onwards. I've tried letting the first layer fully dry before applying the next one but it doesn't seem to be helping. I usually use two coats of mascara and the slight clumpiness honestly quite bothers me. But when using just one coat, it is amazing. Likes - volume & length. Verdict - trying out another one. 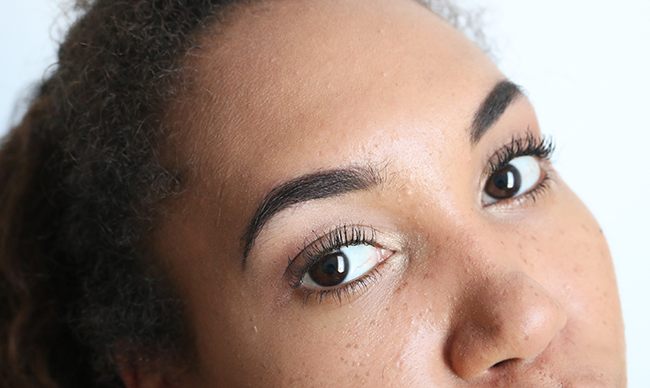 Do you have a favourite Essence mascara or one you'd recommend I try?